We host a free fly fishing clinic at our shop in Evergreen every Saturday from May – September. Learn how to cast, tie knots, rig your rod, choose the right fly, and more. 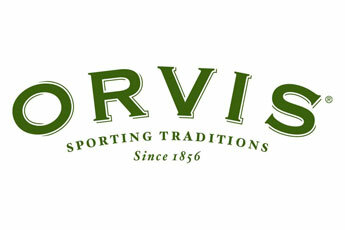 Discounts offered on Orvis products and other items for those who come. Our free Saturday seminars are taught by Blue Quill Angler Guides and other professional anglers. Classes are from 10:00 am until 12:00 noon. Registration is not necessary, just show up and learn! We’re proud to be the premier fly fishing outfitter in Colorado, and our continued success for nearly 30 years has stemmed from our desire to introduce others to the wonderful world of fly fishing. In fact, we’re so serious about helping you get an expert introduction to fly fishing that we offer a free fly fishing clinic every Saturday at our shop in Evergreen, CO. This class is taught by our expert fly fishing guides that have been handpicked by some of the best anglers in the country. Our head guide, Pat Dorsey, is recognized among the few elite Simms Ambassadors. He works with our Director of Fly Fishing Schools Kerry Caraghar to ensure that all of us at The Blue Quill Angler share their passion for passing on insight, knowledge, and experience with fly fishing anglers from beginners to veterans. Why is The Blue Quill Angler the Ideal Outfitter to Learn Fly Fishing From? Simply put, our experienced and accomplished guides and instructors offer a level of knowledge that is unmatched. Among our guides, we’re proud to have Pat Dorsey and Bob Dye who are both Elite Simms Ambassadors. Our co-owner Steve Parrott is an expert in European Nymphing and has been a member of Fly Fishing Team USA. Each of our expert fly fishing guides and instructors have demonstrated a lifelong love of fly fishing, and are well acquainted with the legendary tailwaters and streams throughout the Colorado mountains. Whether you’re a beginner or have some experience in your net, our free Saturday fly fishing classes are a great way to learn more about advancing as an angler while also providing a chance to speak with some of the best fly fishing experts in the industry. We also offer a variety of other fly fishing classes as well as fly tying classes. We look forward to meeting you at The Blue Quill Angler and perhaps even having your company on one of our guided fly fishing trips.